Here is our great deal on a Black Faux Alligator Poker Chip Case (10 Row / 900 Chip). This textured case has 10 slots with lined dividers holding 90 chips each for a total of 900 chips. 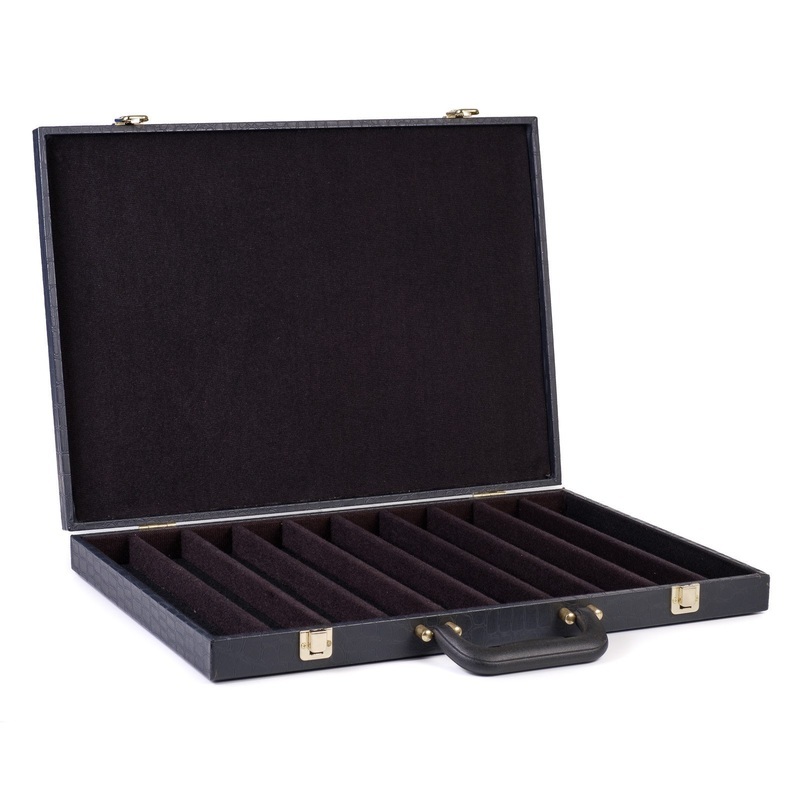 The fully lined interior of the case is outfitted with brass latches and hinges with a heavy duty handle which is securely fastened for years of use.